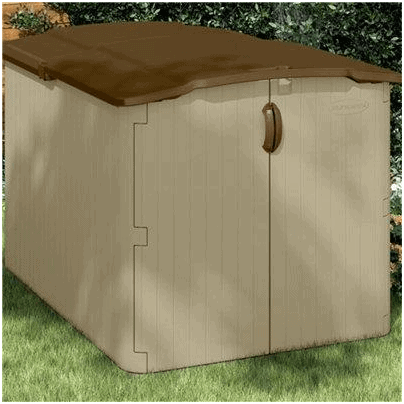 The Kensington Seven is an excellent multi-purpose storage solution for your outdoor space. 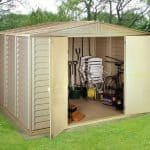 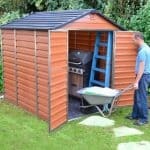 It works just as well for storing your gardening equipment such as large items as it does for children’s bicycles or light furniture. 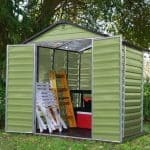 Crafted from durable resin and with double wall panelling it is completely weather resistant due to the stay dry design and maintenance free which means it will last for years. 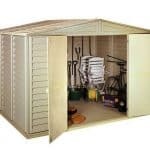 It has a clever sliding lid so you can access what you need easily and the front doors open out too, plus it is lockable which means it’s a secure storage piece. 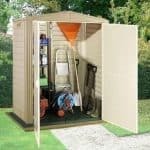 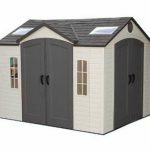 In cream with brown trim it’s a good looking garden shed which will slot into your garden perfectly.